New state of the art CCTV cameras have been installed around Amble, and can be accessed at any time by the Police. The wifi-connected cameras are all high resolution, and some have numberplate and physical features recognition systems. They have been positioned in the central areas of town and in Paddlers Park. The CCTV cameras have been bought by Amble Town Council after the old system installed by Northumberland County Council were deemed too old. The new cameras were installed by local firm Alncom. The system features around 14 high-definition cameras and a number of 4K Ultra HD cameras which will be wifi networked. 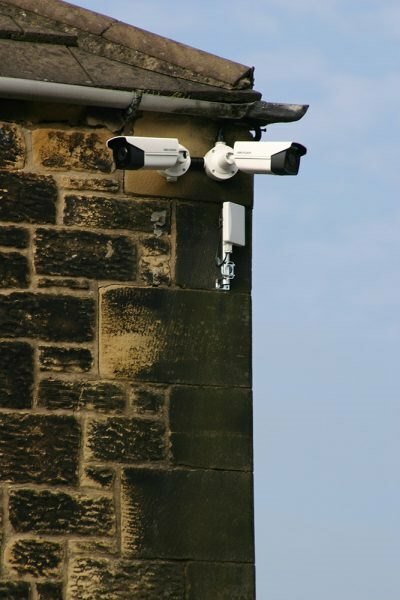 In addition to the static cameras, Northumberland County Council have two overt deployable CCTV cameras available for Amble. These cameras are deployed on a time limited basis in response to specific issues associated with anti-social behaviour which is reported through official channels. Amble Mayor Jane Dargue said “I am absolutely delighted that the CCTV installation is almost complete. Our aim was to ensure that we have in place the best CCTV system possible to help combat anti-social behaviour and to protect our town assets.